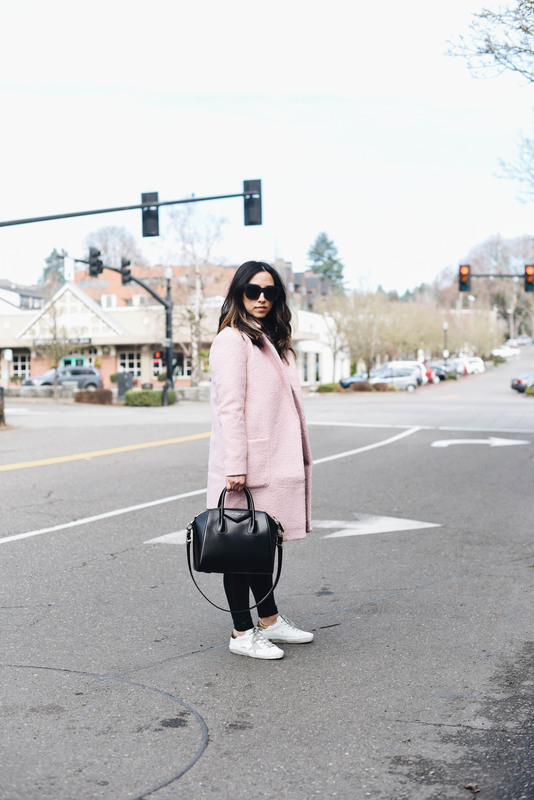 You won’t see a ton of posts dedicated to pink on this blog, but with spring around the corner and my new coat on repeat, I figure there’s no better time to embrace the feminine color than now. 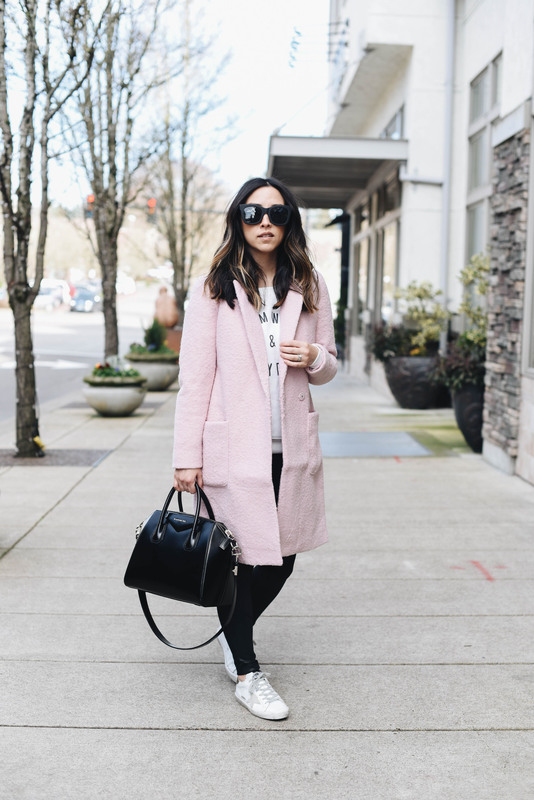 I’ve been really into mauve / dusty pink lately, but this blush coat was screaming my name. Maybe it has something to do with it coming in petite sizes (I buy every petite coat I come across)? Regardless, I’m in love and I love the pop of color it gives to my very neutral wardrobe. 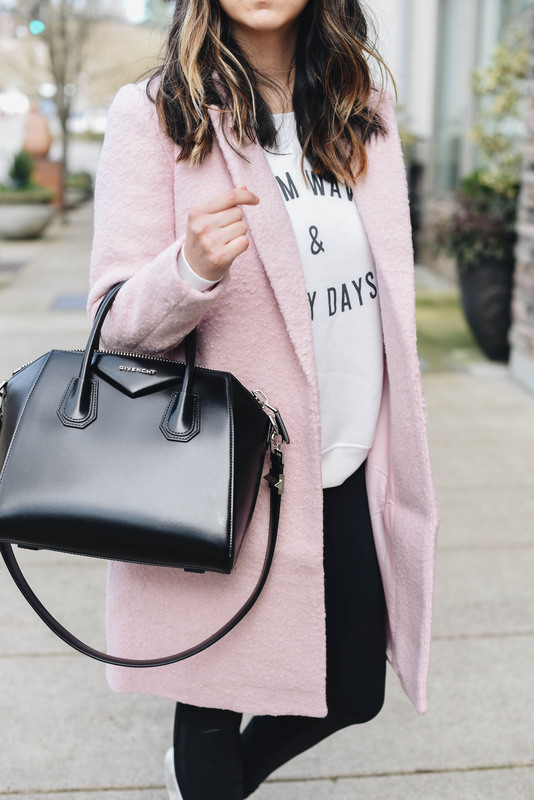 It’s the perfect piece to start transitioning my wardrobe to spring, too! I know pink isn’t for everyone. If you’re one of those people who are anti, I can relate. Up until last year, the thought of a pink coat or pink anything, made me think of those bubble gum, frilly, overly girly kid dresses. Or those girls who deck out their whole room or wardrobe with pink. That’s so far from who I am, so I never wanted to be associated with the color. Thankfully, I’ve gotten over that whole notion and I actually love the feminine color paired with more masculine pieces. I’ve always talked about balancing out your outfits and pink does that for a lot of the outfits I create. 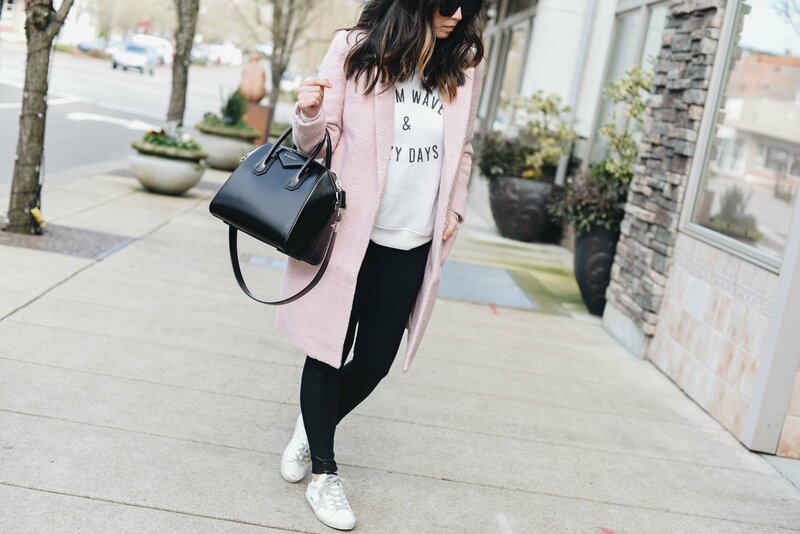 If you’re interested in other ways to wear pink without looking overly feminine, try pairing the color with sneakers, athleisure wear, distressed denim, boyfriend jeans, or loafers. 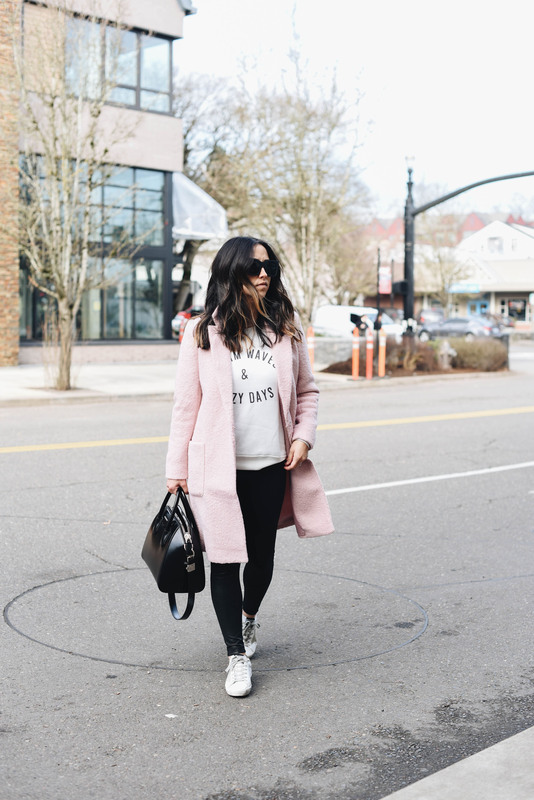 Stay tuned to see all the different ways I wear this coat! 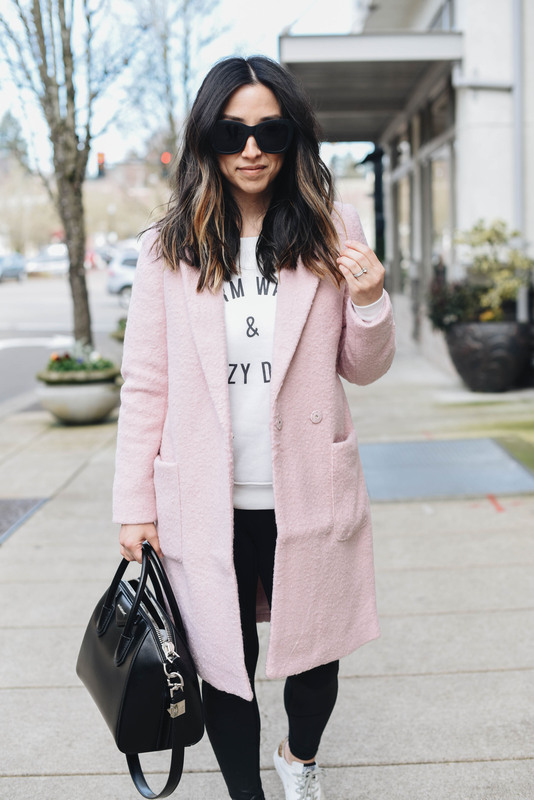 And in case you’re in the market for a pink coat, I’m sharing more favorites below. 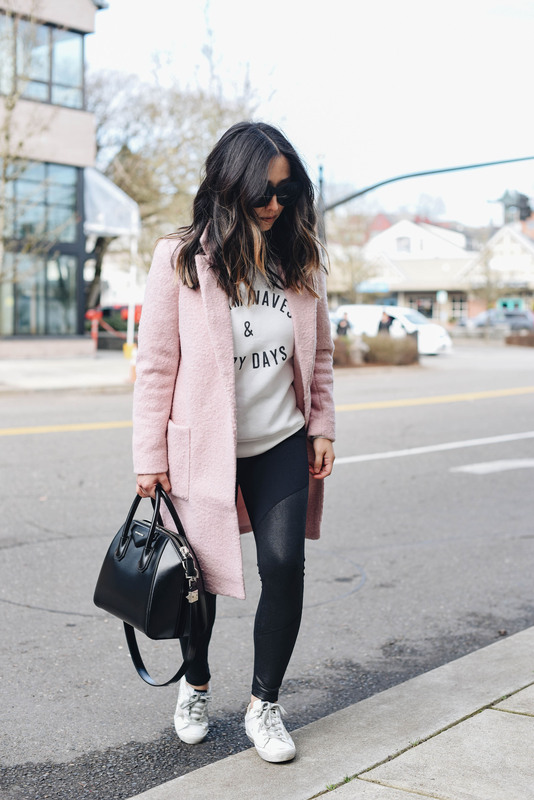 That coat is so perfect for spring!